Families avoid the struggle of finding affordable, quality instruments by renting them from The Music Store at low monthly payments so their students succeed. We’re as concerned for your student’s success as we are about you feeling great about a quality instrument. With over 20 years of experience The Music Store can help guide you to the instrument or accessories that will help you improve your musical experience. Set your student up with a quality instrument at an affordable price. With payments as low as $20 a month you can rent a quality beginner instrument that will allow your student to progress and we'll support you every step of the way. When your student loves it, apply your rental payments toward the purchase of their beginner instrument OR trade up to your High School level instrument. You can know what questions to ask when shopping for a quality instrument with our free instrument feature guide. Maybe we can help. Watch the video below of a student selecting an instrument for themselves and know what’s possible for you at The Music Store. You too can play-test instruments here. Instruments seem to break at the worst possible moment. Avoid the anxiety and stress caused by broken down instruments by selecting the Maintenance Plan with your rental. When your instrument breaks, we fix it for you no questions asked. Click here to learn more. The Repair Shop is equipped to service your band, orchestra or fretted acoustic instrument. From re-strings to re-pads we’d be happy to help you start making beautiful music again. 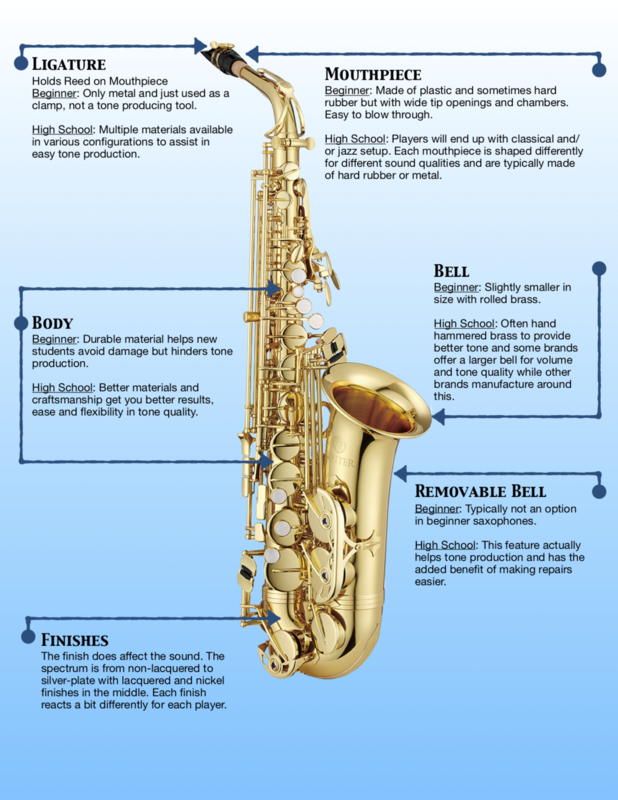 How do you know if your student’s instrument is fitted correctly and functioning properly? We offer fitting consultations. Read below and select what’s best for you.